I was excited to hear that Netflix was finally available in Australia. In fact, I signed up for the trial very soon after it was launched. The idea seemed great, the price was perfect, I wanted them to take my money, however after having a browse through the available viewing options, it was a complete disappointment to me. Needless to say I cancelled my account without bothering for the trial period to get to the end. It's been suggested to me that I use the Australian account as a gateway and then use other services like TorGuard to trick Netflix into letting me watch US content. Yes, all well and good, but then it's an additional cost for the VPN and it won't exactly work on my Apple TV, which was the primary viewing device. New releases - Maleficent, 22 Jump Street, Captain America: The Winter Soldier, etc. Wow, these are all a year behind the times. New releases! Really?! I kept on looking and failed to find anything newer. 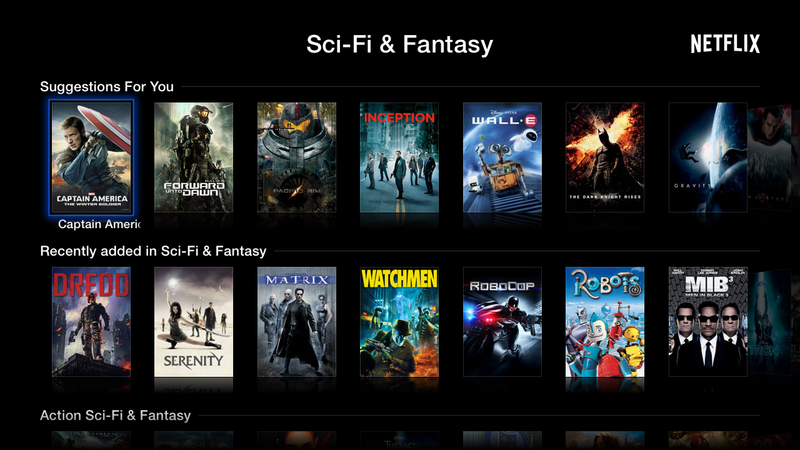 I thought that I'd see what's on offer in my favourite genre - Sci-fi...Serenity was just recently added! A 9 year old movie, that's just great. The same pattern continued, everything is out of date. A number of shows I searched for were not available at all. The lack of content is really apparent and this is why this service will not succeed...unless it somehow appeals to people who want to watch and re-watch old content over and again. I doubt this though. I would love to see Netflix turn this around and add something new, but until then I personally won't be bothering. The most positive experience I had with Netflix was their customer support. I wanted to have my credit card information removed (you can't do that yourself) and they very politely obliged and completely disabled my account, removed my billing details, etc...all without trying to get me to sign back up or enticing me with any promotions. Kudos for that.